With all the dental innovations available, dental veneers create hope if you want perfect teeth – instantly. Veneers make your teeth perfect in terms of color, alignment, and shape. They make use of porcelain, whose texture resembles real teeth. These are thin, porcelain chips that are fabricated to fit onto the front surface of your teeth. They give the visible surface of your teeth a new appearance. So, why porcelain and no other material? Well, porcelain is durable, strong, translucent, beautiful, and looks natural. Veneers can be fixed in one appointment if the porcelain has already been pre-fabricated or in two appointments if the porcelain has to be fabricated at the dental lab. Why Should You Consider Porcelain Veneers? With continuous use, your teeth become corroded and end up shorter than their original length. This can also be due to poor eating habits or grinding of your teeth. 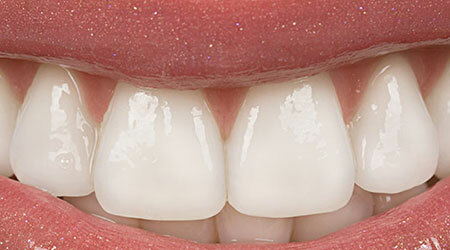 Dental veneers can be placed on your teeth to reconstruct them. For instance, if your front teeth are shorter than the rest, veneers will restore the natural size of your teeth. The dentist will test the length and size of your teeth and have a lab fabricate custom veneers that fit you properly. Tooth decay eats at your enamel and leads to the formation of cavities. Cavities spoil a perfect smile. The dentist removes parts that are decayed and places dental veneers over the teeth to restore your beautiful smile. Your teeth might be chipped due to various reasons. If you have chipped teeth, veneers are the best solution to reconstruct your teeth. Gaps usually occur between the two front teeth. However, they can also occur between any two other teeth because of a mismatch between the size of the jawbone. If you want to close the spaces between your teeth without any pain and discomfort without the use of braces, dental veneers are the best choice. The dentist will make the size of the veneers wider than your existing teeth to fill the spaces between them. Don’t worry, the dentist will make sure the teeth are uniformly spaced. Long-term use of coffee, tobacco, and cigarettes make your teeth lose their natural white color and adopt a darker hue. Stains arising from these items embed on the surface of the teeth, making it impossible to whiten your teeth to the desired color using regular bleaching methods. Porcelain veneers come in various shades of white, and you can choose one that makes your teeth look as white as you want. The employees at TLC dentistry are friendly and knowledgeable. They make you feel comfortable and confident that you are receiving the best treatment available. I highly recommend them. If you have problems regarding teeth discoloration, shape, alignment, and spacing, dental veneers are the solution you need. Contact TLC Dentistry of Salinas to know more about dental veneers, the procedure, its benefits, and any other cosmetic dentistry that you may want to use. You don’t need to live with low self-esteem yet the solution is just a call away. Book an appointment to come for assessment to see whether you are the right candidate for dental veneers.